Becoming personally invested in every bridal couple that chooses to hold their special day at Coombe Trenchard means that we learn from each unique wedding journey. We take notes, we excitedly converse over tea and biscuits and we feel the ups and downs as they do. Sometimes, we hear that the logistical elements are stressful, sometimes it’s hard to ensure all preferred suppliers are available on the same day, and sometimes it’s simply finding enough hours in the day to organise the myriad of detail that goes into a wedding. So many of our bridal couples are taking advantage of our glorious part of the world, yet do not currently reside nearby and therefore find it difficult to attend trials, tastings and meetings or be on hand to meet with those all-important suppliers. Of course, we help as much as possible and offer a level of service that has surprised and delighted many a bride (and industry professionals! ); carefully compiling our recommend suppliers list and discussing which would be a best fit for each unique couple, offering limitless visits, emails, chats on the phone and ensuring the biggest day of your life runs like clockwork. 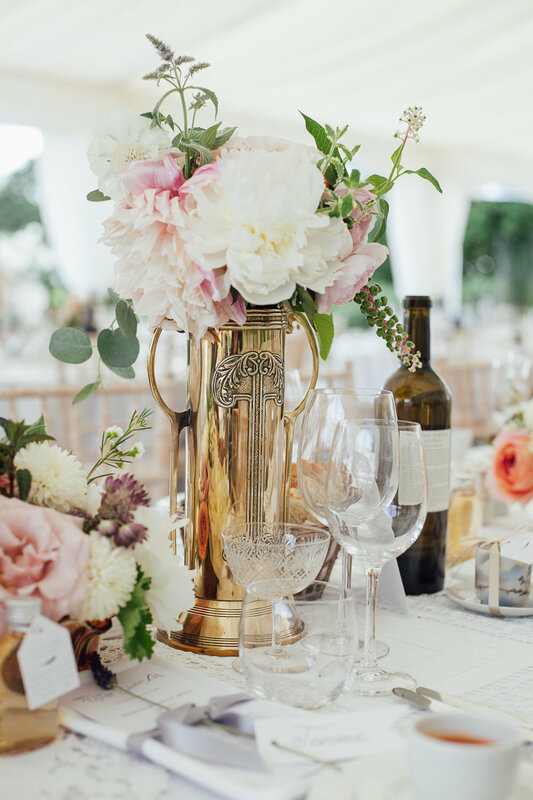 Seeing such a growing trend for mid-week celebrations and wanting to utilise our wealth of contacts, knowledge and penchant for organisation, we set about designing a day that was spectacularly stress-free. With great enthusiasm, we discussed our projects with our favoured suppliers, knowing how much they enjoy working at Coombe Trenchard and happy to be offering a solution to time-scarce bridal couples. This seed of an idea was met with much excitement, and so, ‘Boutique & Beautiful’ was born. Here at Coombe Trenchard, we are unable to do things without a luxurious undertone (we blame our opulent yet charming Edwardian surroundings) and so the ideas for what constitutes ‘mind-blowingly special’ came thick and fast. Possibly our favourite aspect of ‘Boutique & Beautiful’ is the pre-wedding overnight stay at Coombe Trenchard, giving couples the chance to meet with suppliers, decide on one of our 12 licenced locations in which to say ‘I do’ and indulge in some quality time together whilst nestled on the edge of Dartmoor. We can’t think of anything more romantic than wedding planning whilst exploring the gardens, woodland and sumptuous interiors of the charming country home in which you will soon be wed.
Of course, the deluxe treatment continues through to the big day itself, with vintage champagne saucers to sip from on the south facing Italian terrace, mouthwatering delights from exquisite caterers and hand-designed stationery to delight your guests. We’ve even thought of marshmallows for toasting over the fire pits adjacent to our restored Coach House, overlooking Brentor. It’s been a joy to compile aspects and contributors that we know make a wedding one to remember and we are hugely proud of ‘Boutique & Beautiful’ and the luxuriously laid back new choice it presents to our bridal couples, whose happiness and wedding satisfaction mean so much to us. You can download our stunning new 'Boutique & Beautiful' brochure here. On the last day of February we played host to a fund raising evening in support of The Children's Hospice South West. CHSW fundraising is enthusiastically championed by Judy Pride. Judy and her wonderful team of local volunteers give up a huge amount of their precious time to raise funds for 'Little Harbour' the Children's hospice based at St. Austell, Cornwall. 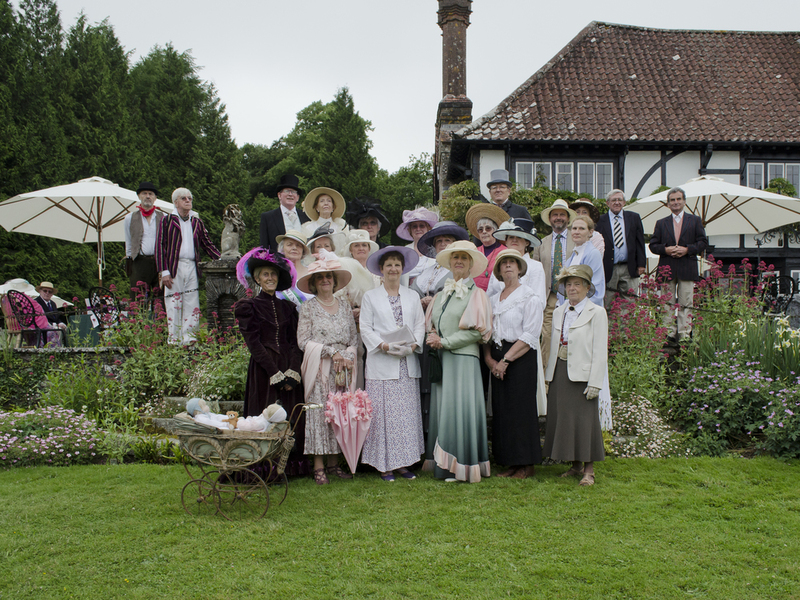 Coombe Trenchard supported CHSW in 2013 when we hosted a traditional Edwardian tea party, which was a huge success. On this occasion, it was decided that an antiques evening would be very much in keeping with the venue, and we were delighted to have the support of Andrew Thomas from Bearnes Hampton & Littlewood of Exeter. Andrew brought along a number of antiques, all dating from around the early 1900's and some of the Arts & Crafts in style. The guests were given a sheet with details of the items, and they were asked to try to guess their values. Later in the evening Andrew staged an auction, encouraging bids from the guests for donated items. Guests were treated to a delicious supper of potage & trifle, and a wonderful evening was had by all. We were delighted to hear that this event raised £1117 for CHSW. This summer CHSW will be joining us at our Home & Garden Show on May 31st & June 1st, serving delicious Pimms, and staging an Edwardian croquet match. Please do come along and support them.